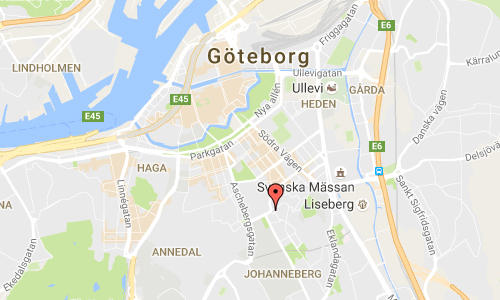 Teknologgatan is a street in Nedre Johanneberg in Göteborg. A first urban plan for the area was drawn up in 1904 but this was completely redesigned by the city engineer A Lilienberg and a new plan was established in 1917. 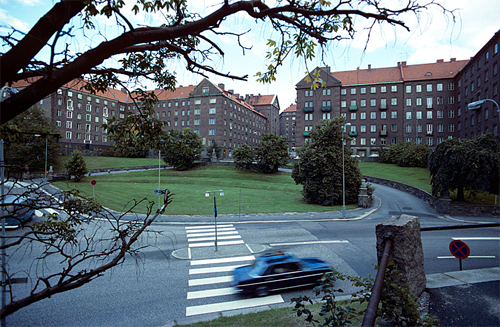 Typical of the Lilienbergska plan is “Storgårds Quarter” and the irregular street and courtyard rooms adapted to the hilly terrain. The area was built with brick houses in 5-7 floors 1924-38. The first extension was carried out 1924-28 and comprised two blocks for Terrace Way which was designed in the 1920s classical style. The following three quarters was built in 1928-37 and there are several examples of buildings in the functionalist spirit. The housing block Entitan built in 1935-38 has clear functionalist character. Here, the city plan revised that the farm style block is open to the south. 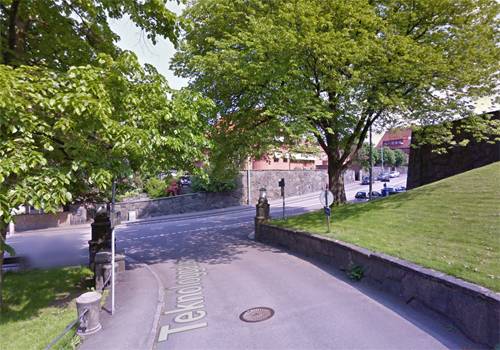 The entire Nedre Johanneberg area is a very time-typical and well-preserved residential environment from the 1920s, with many lavish and lovingly designed buildings. Especially valuable is the north that completely dominated by the Lilienbergska town plan and has built monumental terraces. 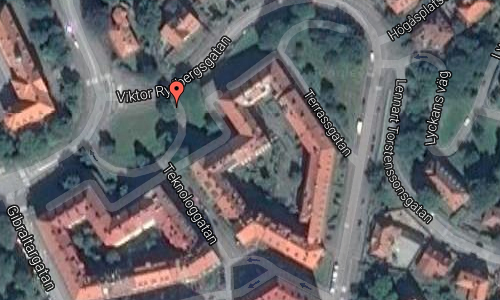 Here, Terrassgatan with its symmetrically arranged brick facades an extremely important feature of the cityscape. Several of the individual buildings are well conserved and have interesting interiors such as stairwells with original doors and decorative painting. More information at sv.wikipedia.org and goteborgsstadsmuseum.se. 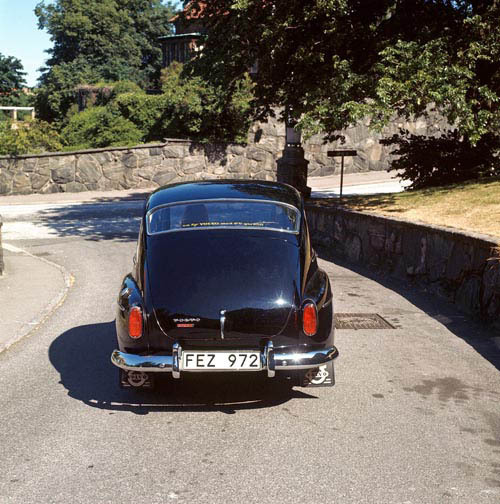 Thanks to Per Pettersson, for finding this location!